vom Brocke, J., Mendling, J. (Eds.) (2018), BPM Cases. 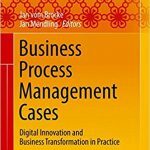 Digital Innovation and Business Transformation in Practice, Berlin: Springer. Maedche, A., vom Brocke, J., Hevner, A. (Eds.) 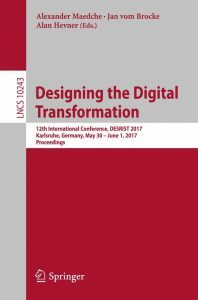 (2017), Designing the Digital Transformation (Lecture Notes in Computer Science), Berlin: Springer. vom Brocke, J., Rosemann, M. (Eds.) 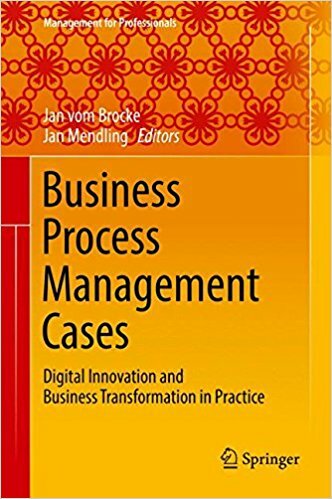 (2015), Handbook on Business Process Management (International Handbooks on Information Systems) (Vols. 1 and 2). 2nd edition, Berlin: Springer. vom Brocke, J., Schmiedel, T. (Eds.) (2015), BPM – Driving Innovation in a Digital World. Berlin: Springer. vom Brocke, J., Tan, B., Toppi, H., Weinmann, M. (Eds.). (2018). 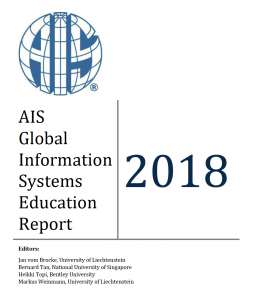 AIS Global IS Education Report, 3rd Edition, The Global Report of the Association for Information Systems on Information Systems Education 2017 : Association for Information Systems. vom Brocke, J. (2015), Referenzmodellierung: Gestaltung und Verteilung von Konstruktionsprozessen. 2nd edition, Berlin: Logos. Davis, F., Riedl, R., vom Brocke, J., Léger, P.-M., Randolph, A. (Eds.) (2015), Information Systems and Neuro Science: Gmunden Retreat on NeuroIS 2015 (Lecture Notes in Information Systems and Organisation). Berlin: Springer. vom Brocke, J., Stein, A. Hofmann, S., Tumbas, S. (Eds.) 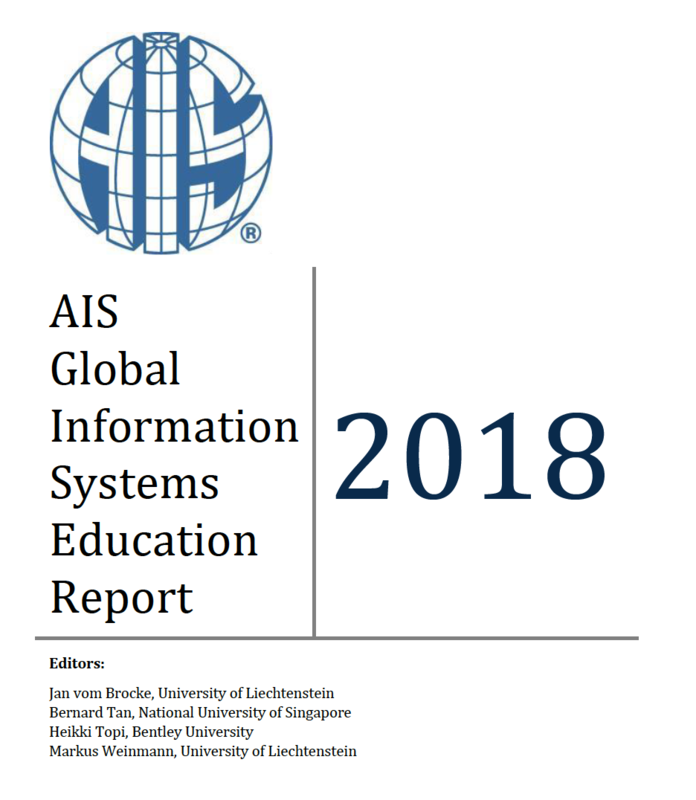 (2015), Grand Societal Challenges in Information Systems Research and Education. Berlin: Springer. vom Brocke, J., Simons, A. (Eds.) 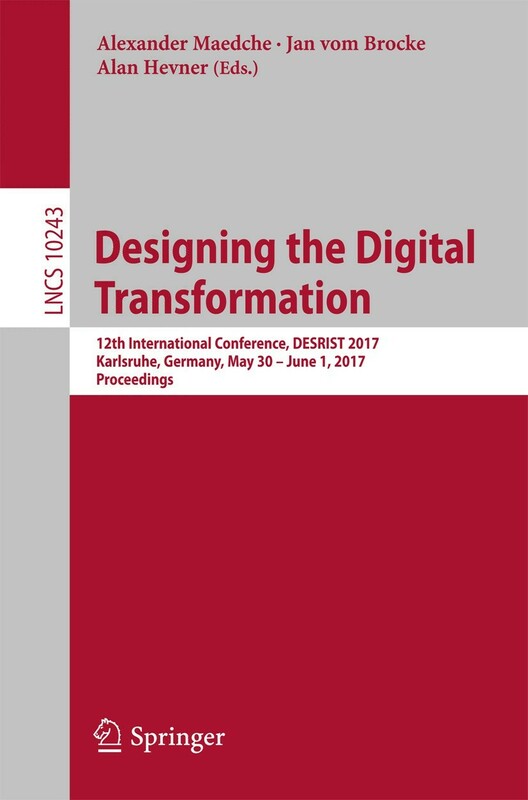 (2014), Enterprise Content Management in Information Systems Research: Foundations, Methods and Cases. Heidelberg: Springer. vom Brocke, J., Hekkala, R., Ram, S., Rossi, M. (Eds.) (2013), Design Science at the Intersection of Physical and Virtual Design (Lecture Notes in Computer Science). Berlin: Springer. vom Brocke, J., Seidel, S., Recker, J., (Eds.) (2012), Green Business Process Management: Towards the Sustainable Enterprise. Heidelberg: Springer.